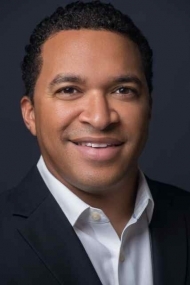 Michael Turnquest is a go-getter and has served as a business analyst consultant, project manager and IT manager at various investment banks and financial institutions in Nassau. He received his early education at Nassau Christian Academy in Nassau and has a bachelor's degree in Management Information Systems (MIS) from the University of Alabama and a master's degree from the University of Miami. He�s served as a consultant, educator and analyst on many special projects designed to enhance communications and strengthen international markets. Michael�s career has taken him to UBS Bahamas, Citigroup Private Bank, Banco Atlantico and Imperial Life Financial, all based in Nassau. He worked overseas in the computer technology field at SCI Systems in Huntsville, Alabama. Michael has devoted many private hours to the development of the Bahamas, having served as chairman of the government�s New Providence-based Hotel Licensing Board from July, 2007-2012, and as deputy chairman of the Free National Movement, which governed the country during three terms in office. His expertise in management information systems, organisational skills and wide network of contacts are strong assets in the real estate profession.